The Sig P229r 9mm is intended to be a carry gun, but to get the most out of it you need more than one Sig P229r holster to do it. After all, the person who carries whenever possible has need of more than one kind of carry holster. The ShapeShift Sig P229r gun holster pack is for just such a person. You get all the carry holsters most people carry with in one fell swoop. The innovative ShapeShift shell design allows you to swap backing platforms in mere seconds, without needing tools. Carry how you want, when you want. 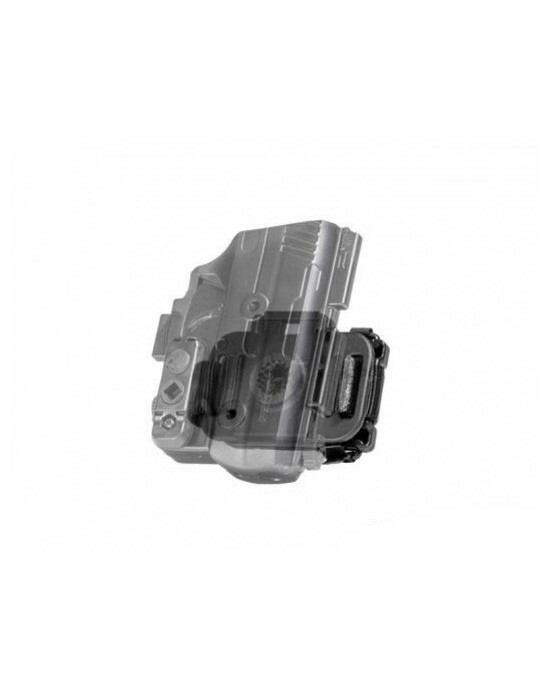 Most people carry with only a few different types of Sig P229r concealed carry holster. 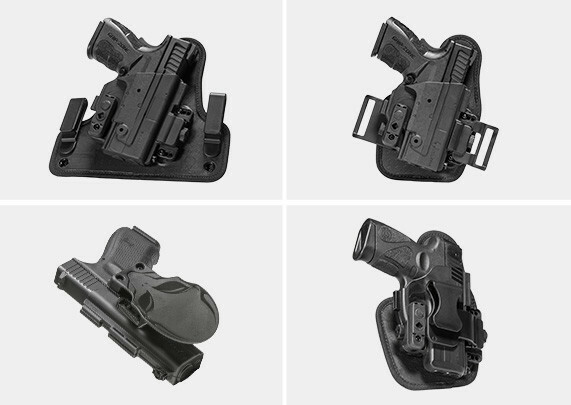 This pack of core essentials gives you those holster configurations that most people use on a daily basis. More are available, of course, with ShapeShift expansion packs, if desired. Sig P229r IWB Holster, for easy concealed carry with a comfortable holster base and adjustable belt clips for easy concealment. Sig P229r Appendix Carry Holster, designed for easy concealment without the uncomfortable features of many other appendix holsters. 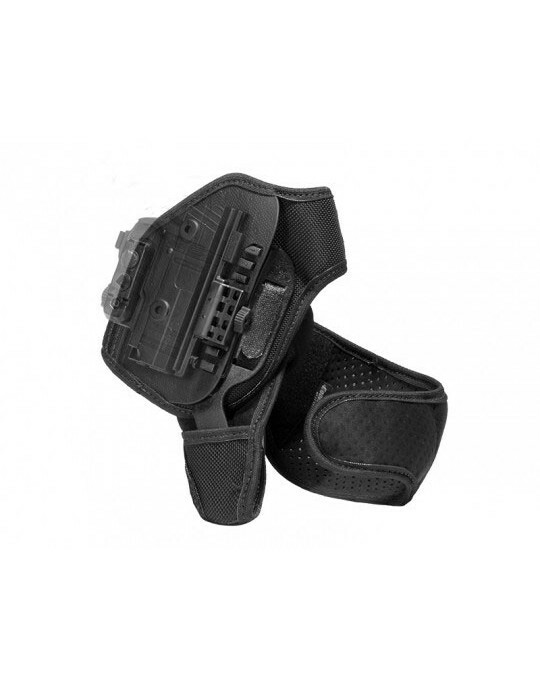 Sig P229r Belt Slide OWB, a high-riding belt holster that can carry open or concealed with ease. 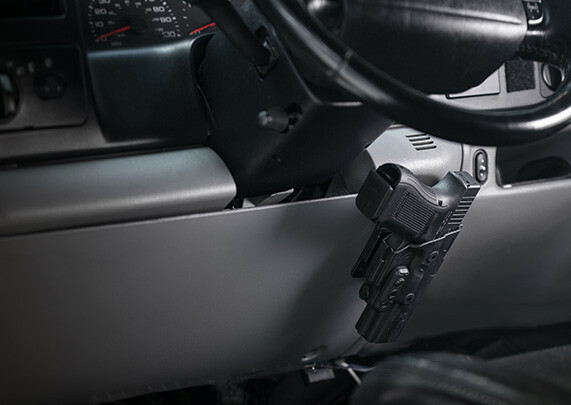 Sig P229r Paddle Holster OWB, an ultra-durable OWB that carries as a paddle holster or belt slide with passive and active retention. All ShapeShift P229r holster models feature adjustable passive retention, and select models are adjustable for ride height and grip cant. 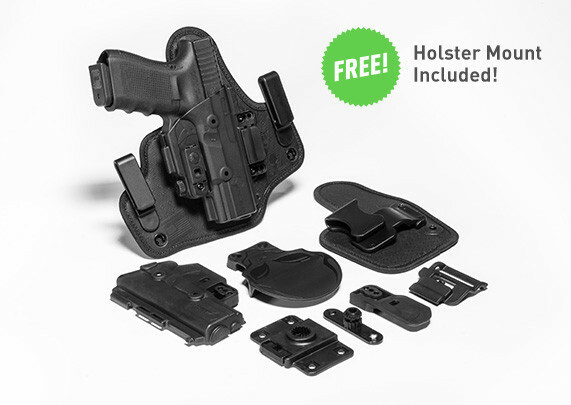 You also get Alien Gear Holsters' Iron-Clad Guarantee, including a 30 Day Test Drive trial period and a Forever Warranty on your 100 percent American-made holster.